This image showed up in my news feed this week. Can you guess what it is? My initial thought is that it appears to be rather crudely made of plaster. A bad sculpt of a tie fighter perhaps? The truth is far stranger. Keen eyed observers may note the white scale bar and label in the lower left hand corner. 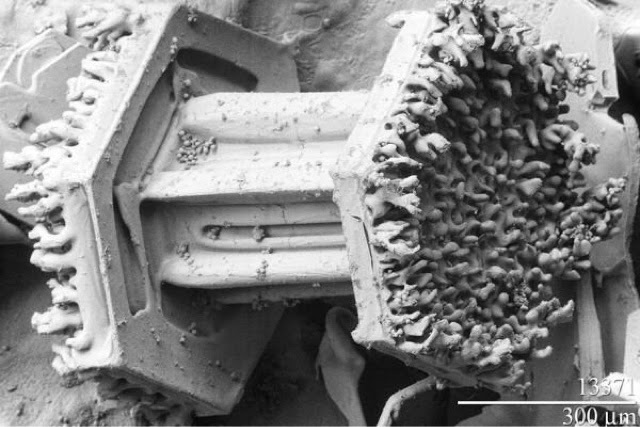 This object is only about 600 µm across. That's 600 micrometers or about half a millimeter. The image was taken with an electron microscope and is magnified 50,000 times. This is an object every reader has seen, most have touched and many have eaten though you should take care to avoid colored versions. Perhaps "flake" is a bit of a misnomer. Falling snow comes in several varieties. As we often teach school kids in my job, snow comes in stellar dendrites (those are the ones you usually think of) as well as needles, columns and more. The odd snowflake in the photo is a peculiar variety of capped column. 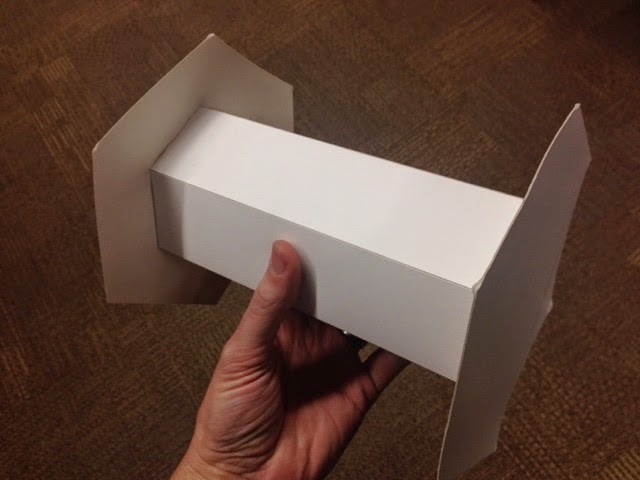 I recognized it right away as we have a cardboard capped column on display at work right now. The bumps on the side are rime ice that formed on the surface. I find it fascinating that the columnar snow structure the rime ice is growing on is so imperfect. I think we get this impression that snowflakes, essentially just crystals of water should be more perfect. Of course, almost no crystals in nature are ever perfect. I blame Snowflake Bentley. Wilson Bentley is in part responsible for our distorted image that all snowflakes are perfect and beautiful. 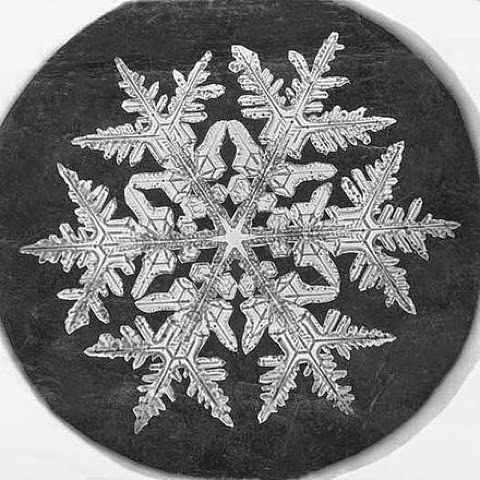 He was one of the first to capture snowflakes on film and they showed for the first time via amazing detail that snowflakes were highly complex and beautiful. Let's be clear though, Mr. Bentley knew that many if not most of the snowflakes that fall are not perfect. He had to sift though many poorly formed snowflakes to find the truly spectacular ones. He looked at so many he knew they were not all perfect. The public only saw the most beautiful ones and since they were the only ones we had seen it distorted our perception of them. The close up photo of the capped column snowflake at the top of the page is beautiful as well but not because of the perfection it displays. It is beautiful because it is imperfect, strange and fills us with wonder.